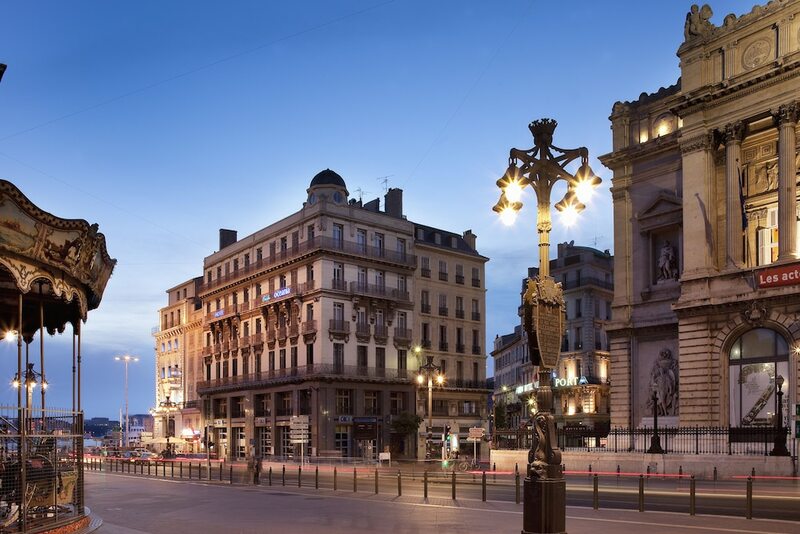 With a stay at Escale Oceania Marseille Vieux Port, you'll be centrally located in Marseille, steps from Old Port of Marseille and 15 minutes by foot from Museum of European and Mediterranean Civilisations. This hotel is 2.2 mi (3.5 km) from Marseille Provence Cruise Terminal and 2.4 mi (3.9 km) from Calanques National Park. Make yourself at home in one of the 45 air-conditioned rooms featuring flat-screen televisions. Complimentary wireless Internet access keeps you connected, and satellite programming is available for your entertainment. Private bathrooms with showers feature complimentary toiletries and hair dryers. Conveniences include phones and desks, and housekeeping is provided daily. Featured amenities include complimentary wired Internet access, a 24-hour business center, and express check-in. Planning an event in Marseille? This hotel has facilities measuring 484 square feet (45 square meters), including a meeting room.